Wednesday's First Night celebration in Grand Center is the official end of St. Louis' yearlong 250th anniversary celebration, and will showcase St. Louis arts and artists. "Almost all of our performers this year are St. Louis-based performers, or have a St. Louis connection, so we're really excited about that," said Michelle Stevens, vice president of Grand Center Inc. "Not only are we celebrating the arts and artists in St. Louis, but we are looking forward to the bright future of our city and region." "Cityscape": Michelle Stevens, Andy Coco and Brent Loewenstein discuss First Night at Grand Center. The family-friendly event will feature more than 40 performances at 11 Grand Center venues. There will be two fireworks shows: the first at 9 p.m.; the second at midnight. 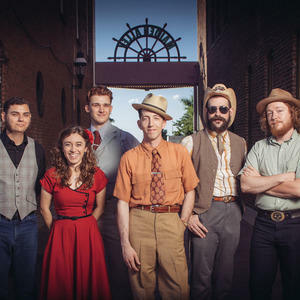 St. Louis singer Pokey LaFarge will headline an outdoor concert after the first fireworks display. Smaller events are scheduled throughout the night. The last STL250 fiberglass cake will be revealed at the Public Media Commons, between St. Louis Public Radio and the Nine Network on Olive Street. Films will play there throughout the night. Magician Brent Loewenstein will perform at 6:45 p.m. at Saint Louis University's Busch Student Center; the Dogtown Allstars will perform at 9:30 p.m. at The Stage at KDHX. Several craft stations, many geared toward younger participants, will be set up as well. Buttons are required for indoors events and performances; they are available at Dierbergs and Schnucks locations, or online at grandcenter.org. When: 6 p.m. to midnight Wednesday, Jan. 31, 2014; a complete schedule is available at grandcenter.org. “Cityscape” is produced by Mary Edwards and Alex Heuer and sponsored in part by the Missouri Arts Council, the Regional Arts Commission, and the Arts and Education Council of Greater St. Louis.